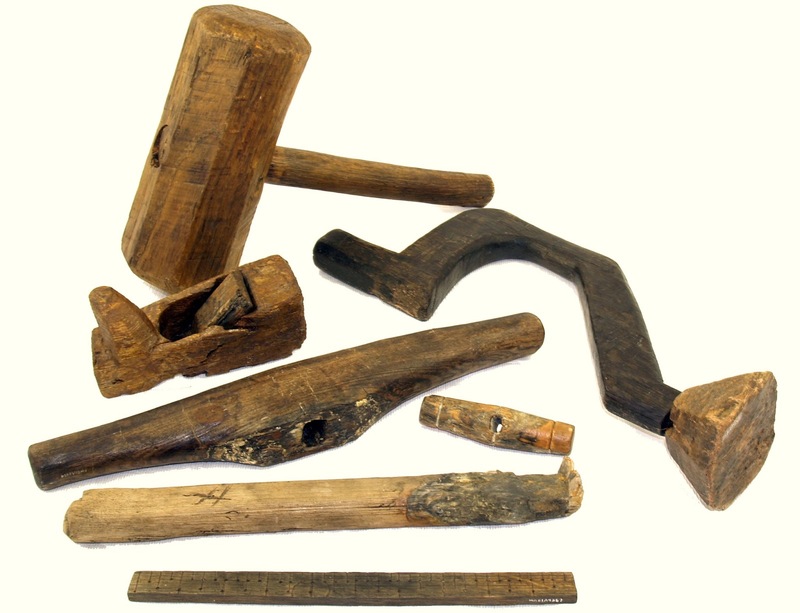 Lexicolatry: Carpenter - Wood You Believe the Different Types? B1 verb intrans. Do carpenter's work. Carpenters are very particular about the words used to describe their trade - call a cabinetmaker a joiner, for example, and you can expect to be corrected sharpish. At this stage, it might be appropriate to roll out the old "Oh wheely?" joke. As every good carpenter knows carpenter is derived from the Latin word carpentum, meaning 'two-wheeled carriage' (because that's what they used to do - build carriages), your carnaptious chippy will find this absolutely hilarious, your faux pas will be forgotten, and normal wooden relations can resume. A cabinetmaker is skilled in the art of cabinetry and makes, if taken quite literally, cabinets. In practice, however, cabinetmaker refers to a skilled carpenter that has the ability to create and finish many different types of furniture and fittings. Personally, I don't like this word, as it fails to convey the artistry involved in skilled furniture making. 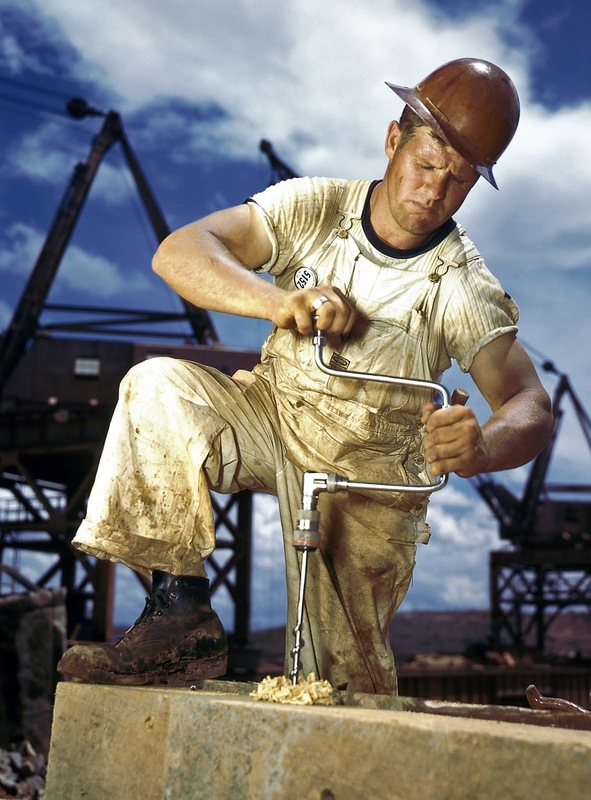 Chippy is a British English term for a carpenter generally, and is used more to refer to rough carpentry. A cooper makes barrels, and they're always up for a laugh. particularly in finish carpentry such as in joinery, woodworking, furniture and instrument making, and parquet floors. A luthier makes and repairs stringed instruments. A scenic carpenter builds and dismantles sets for the TV, film and theatre industries. A ship's carpenter specialises in ship building and carpentry of the more nautical kind. That really didn't require an explanation, did it? If you hire one of these by mistake, you're an idiot. and other such things to make a room look really nice. If he (or she) also happens to be trim, that's just a bonus. 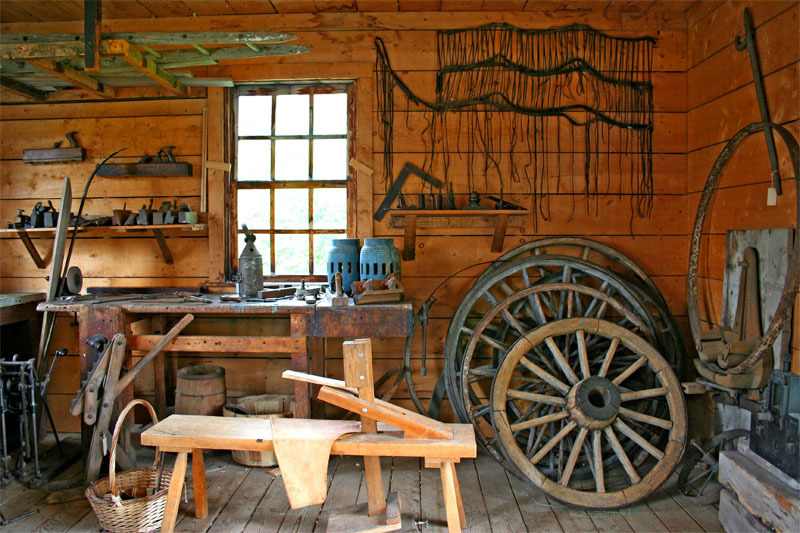 A historic carpenter's workshop. And look what's in the background! Do you know of other types? Do please join in by commenting planely below. I often cut down trees due to my work, I occasionally come across some lovely timber, in which I give to my father in-law. He is A Gifted carpenter. And from kitchens to furniture, pens, lamps etc....he can turn lumps of rough timber into anything. I would love to see pics of your father-in-laws work. You really don't get to see too much of fine carpentry any more. I'm glad you enjoyed it, T. If you cut down trees for your work, two words that might interest you are arboricide (though I'm sure that doesn't apply to you) and treowwyrhta, an Old English word for carpenter that literally means 'tree-wright'. And I'm with Jingles - if you have some good quality pics of your father-in-law's work, send them to me and I'll include them in a future post. Aww ... thanks Bibi! You've given me some very relaxing music to listen to while I'm writing. And yes, we call a fish and chip shop a chippy. And ... Bibi! ... do I detect a thinly-veiled dig at English cuisine? Nah, not really. All I know is that English cuisine often has really weird names, and is a lot more fatty than what I'm used to eating. I bid you good day, miss. If you want to make a cartwheel you use elm for the hub, oak for the spokes, and ash for the felloes (you say it fellies - they're the bits that make up the outside edges). If you want to make a driving whip (though I hope you don't) then for the stock you need holly, grown on stony ground, five to six year's growth of the second cutting. I love all this stuff - it sounds like magic to me. I've never even done a cartwheel, Sally, let alone made one. How do you know all this wonderful stuff? I'm coming to you after the apocalypse. You got mad skillz. Na, I only got staxx nollidge, Ed. The list has provided me knowledge that their are categories in carpentry. You can visit Air Tools Online NZ if you are looking for tools, fasteners that will help you in your profession.